Es wurden 6 Knowledgebase Artikel zwischen dem 11.Dec.2014 und 12.Dec.2014 veröffentlicht. To create a shortcut to the virtual machine:Launch VMware Workstation. In the virtual machine library tree or from the folder created in Library, drag the virtual machine to the Desktop or to a preferred location. This creates a new shortcut to the virtual machine with the specified name. VMware Server is a hosted virtualization platform that installs like an application on a Windows or Linux operating system and depends on the operating system for resource management. 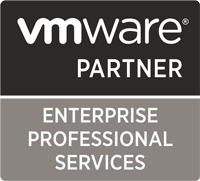 For more information, see the VMware Compatibility Guide and the vCenter Server Features.